Figure 3: HG-wr3.4-FB source for frequency range 220-336 GHz. The electronically driven source offers a frequency sweep which covers the 220-336 GHz band span. 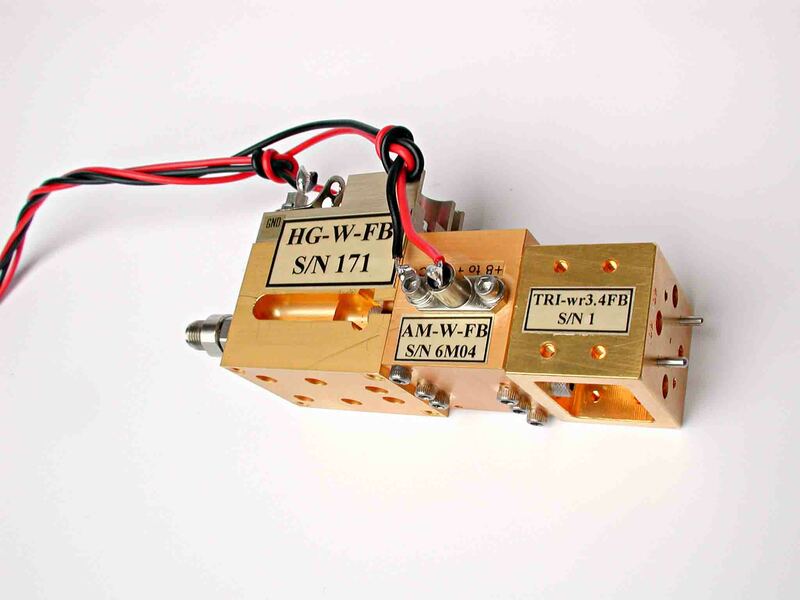 The following building blocks can be seen (from left to right): HG-W-FB sextupler, AM-W-FB wide-band amplifier, and TRI-wr3.4-FB tripler.